“There are so many ways a brain can let you down. Like an expensive car, it’s intricate, but mass-produced.” So wrote Ian McEwan in his short work, Saturday. The British novelist wasn’t pondering autism’s heartbreaking and mysterious symptoms when he wrote those words. But he might have been. Autism’s social, communication, and behavioral challenges reflect some biological package of human brain disorders. The origins and the causal pathways of these disorders remain largely unknown. This week, an epidemiological study in the Archives of General Psychiatry by Joachim Hallmayer and colleagues helped to clarify some of these relationships, but only to a point. The study suggested that, while genetic factors play a critical role in autism, environmental factors appear to be more important than was previously thought. Unfortunately, as so often happens with complex studies, the work has provided a blank canvas on which people have imposed their own preconceptions and narratives. IN THE INVESTIGATION of autism, some researchers point to pollution exposure or prenatal insults to maternal or fetal health as potential causes. Genetic factors also play a strong role. To help resolve these various influences, several studies compare the incidence of autism and autism spectrum disorders (ASD) among siblings and twins. If one monozygotic (identical) twin satisfies a diagnosis for autism or for ASD, his twin is extremely likely to satisfy the same diagnosis. Such concordance is much higher among monozygotic twins than among siblings who are not twins or among dizygotic (fraternal) twins, indicating a strong role for genetics. Some heritable disorders such as fragile X syndrome are known to cause autism, which also underscores the genetic link. Some people cite such findings to argue that autism is an entirely genetic disorder. 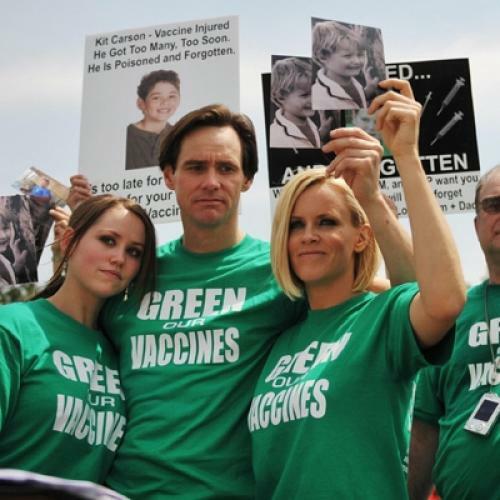 Given the widespread acceptance of unfounded and harmful theories—such as claims that vaccines or cold parenting styles cause autism—researchers and advocates have obvious motivations to emphasize the genetic story. But this stance has pitfalls of its own. It’s doubtful that any single over-arching “cause of autism” is out there to be found. Autism and related disorders include a bundle of related syndromes that probably reflect diverse biological pathways that arise from multiple genetic vulnerabilities and environmental factors. This week’s study provided more evidence for that nuanced understanding. Using data from a unique resource—the California Autism Twins Study— Hallmayer and his colleagues showed that autism concordance between monozygotic twins is lower than was previously thought. Much more important, autism concordance between dizygotic twins is much higher than previously thought. Because these twins largely share a common environment yet are far less genetically similar to each other than monozygotic twins would be, their concordance in autism symptoms suggests that these common environmental factors play a more important role than had been imagined. The sheer craftsmanship of this study is noteworthy. The findings are important, too. Contrary to some current misreporting, the findings continue to indicate that genetics play a powerful role in autism. But other things matter, too. Some risk-factors common to fraternal twins—maybe including the simple fact that one is a twin—are important for at least some people diagnosed with these disorders. Analysis of the sort Hallmayer and his colleagues conducted, however, does not address the underlying mechanisms that lead to autism. The weakness and strength of such statistical twin studies lie in their ability to identify genetic patterns within families without directly investigating what is causing these correlations. The study’s limitations, however, have not stopped people from drawing exaggerated conclusions. One National Institute of Mental Health news website asked, “Balance Tips toward Environment as Heritability Ebbs in Autism?” But with similar accuracy, one might have concluded that “New study confirms important heritability of autism disorders.” UPI’s coverage opens with: “Parental age, low birth weight, multiple births and maternal infection during pregnancy may increase the risk of autism spectrum disorder, U.S. researchers say.” Indeed. Yet this study can’t directly address any of these issues. These are simply common influences that face fraternal twins. Had the observed heritability patterns been much stronger, of course, that would have made it easier to dismiss claims about environmental triggers. Now we know this would be a serious mistake, though we don’t know much more about what these triggers might be. The New York Times writes: “New Study Implicates Environmental Factors in Autism.” True enough. Yet “the environment” is a big place. It includes everything from pollution exposure, to whether a woman was malnourished during pregnancy, to the shape of her placenta, to her own genetic endowments, to whether or not she breastfed or read to her children. Some of the fallout appears to reflect a common temptation to believe that if a disorder is caused or aggravated by environmental insults, it might be more readily addressed than one that is purely genetic in nature. This is not necessarily true. Twenty-five years ago, a famous Institute of Medicine report argued that expanded Medicaid entitlements to prenatal care would reduce the incidence of low birth weight and premature births. Medicaid was indeed dramatically expanded, reducing infant mortality and accomplishing other important goals. But the population impacts of these policies on low birth weight and premature delivery were embarrassingly small. Despite decades of maternal and child interventions and obstetric research, these adverse birth outcomes have proven stubbornly resistant to effective intervention. Indeed, even if researchers could unpack the genetic and environmental mechanisms that lead to autism, there’s no guarantee that the resulting knowledge will yield useful insights for prevention or for treatment. As Siddhartha Mukherjee makes plain in his gripping work of nonfiction literature, The Emperor of All Maladies, epidemiological and biological breakthroughs in cancer have displayed a surprisingly tenuous and delayed link with real advances in cancer care. Moreover, many of the best advances in cancer treatment have arisen from lucky breaks and from clinical trial-and-error unguided by novel insights into the causal mechanisms of the disease. The most immediate opportunities for autism treatment and therapy are not in the domain of basic scientific research. Our first priority must be to conduct rigorous clinical trials of available treatments, and to allocate public resources towards evidence-based practices found to be effective. As always in such things, progress is agonizingly slow. The next clinical breakthrough always seems five or ten years away, and may prove disappointing. Amid such frustrations, there’s no wonder that people misread studies or are tempted to exaggerate the immediate import of their findings. Yet progress is made. In the case of cancer, researchers are using new insights in molecular biology to develop targeted cancer therapies such as Gleevac. Closer to the domain of autism, treatments for fragile X syndrome are now in clinical trials that exploit new molecular genetic insights to develop novel therapies. Some new therapies hold the promise of lessening autistic symptoms. Our brains—mass-produced though they are—don’t always let us down. Henry Pollack is the Helen Ross Professor of Social Service Administration at the University of Chicago.